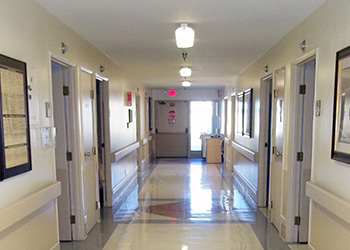 At Banning Healthcare, we also have some residents who need a longer-term home. We offer nursing, rehabilitation, memory care, social services, and activities to these residents. Our staff here at Banning Healthcare know that when someone is suffering from the progressive stages of memory loss, they will need continued support and assistance. We also understand that each case is uniquely different and deserves the utmost attention and care. Our social service team assists both residents and their families during transitional periods. We also provide essential information, manage requests and concerns, help in care planning, and manage discharge planning for each resident. A positive and uplifting atmosphere can set the tone for a resident’s stay. Each activity is designed to keep residents engaged and entertained, and many activities offer physical and mental health benefits as well.